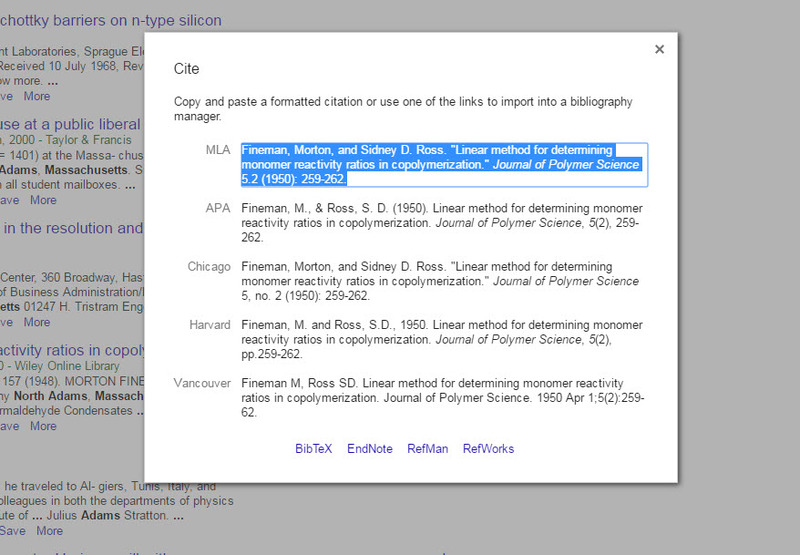 Find the cite link under the citation on the search results page. Copy and paste the appropriate citation style into your paper. Remember to always double-check your citations!